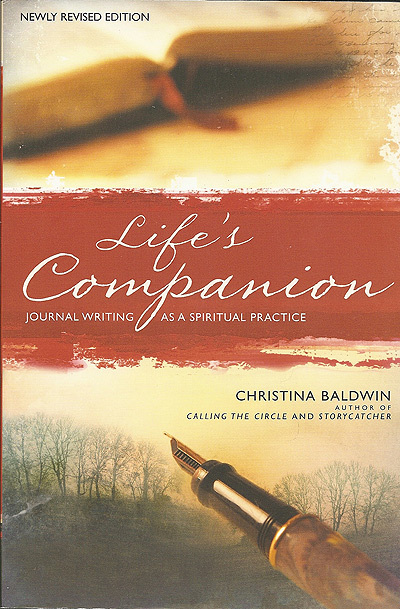 This revised version of Christina Baldwin’s classic retains all the elements 90,000 readers have come to love—with a few nods to the changing landscape of journal writing—laptops, blogging, and still the smell of fountain pen ink on bound-book pages. 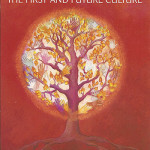 The book offers twenty-four personal essays on aspects of spiritual life, with quotes and journal excerpts, and writing exercises presented on facing pages alongside the text. If you’ve loved the book before, buy it for the next generation of journal writers around you and treat yourself to a fresh copy! 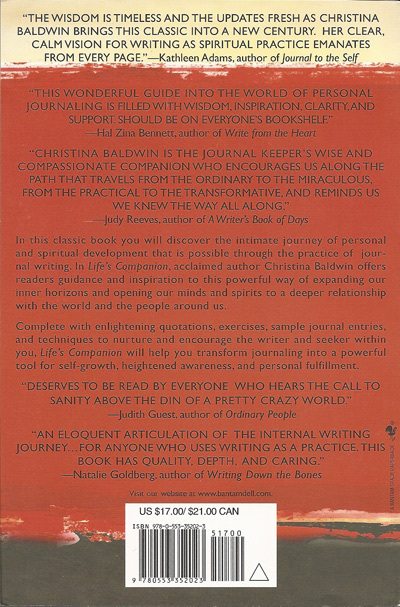 Most reader’s copies are underlined and dog-eared and read over and over again for inspiration and clarity. 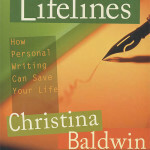 It is an excellent companion to Christina’s Lifelines audio series and her legacy work, Storycatcher.